Everything Upland offers a large variety of 1-dog, 2-dog or 3-dog boxes with your choice of a top storage compartment or a bottom storage drawer. See the added bonus of built-in water storage as well as a storage compartment for hunting gear. 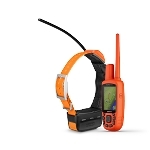 Shop a wide variety of sizes, features, and venting options for your dog's comfort and maximum performance. 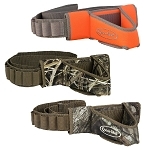 We're sure that you can find something that will meet your needs this hunting season! 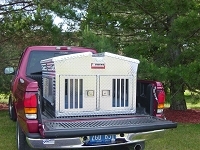 on select Owens 2-dog and 3-dog boxes with storage (more info).